Since 1967, 8 September marks UNESCO’s annual International Literacy Day (ILD), and September, International Literacy Month. ILD aims to bring awareness to the issues surrounding child and adult literacy and learning worldwide. “ILD celebrations have taken place annually around the world to remind the public of the importance of literacy as a matter of dignity and human rights, and to advance the literacy agenda towards a more literate and sustainable society,” says UNESCO. 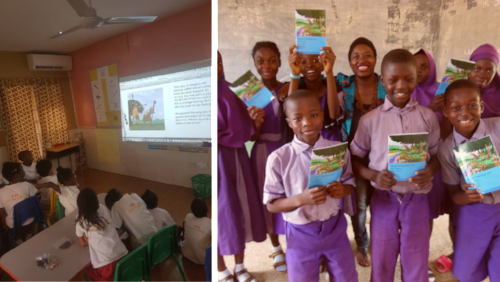 To commemorate this year’s International Literacy Month, African Storybook celebrates the many ways our users make use of our storybooks in order to improve literacy and share knowledge. Read more.